Q. 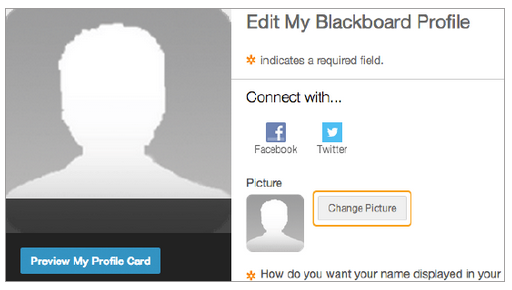 How do I update my photo in Blackboard? Once you tick the box to the terms and conditions you are automatically prompted to provide a primary email. 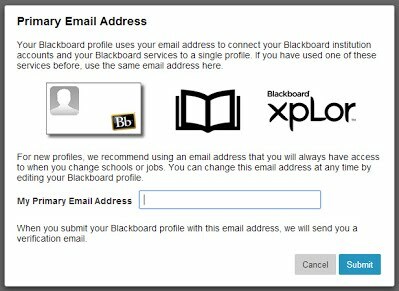 The primary email address is used to identify you in Blackboard Learn at any institution. We recommend you enter your student email address. Your personal image appears in the page header, people tool, blogs, journals, discussions, wikis. Your profile picture also appears in the notifications modules, such as What's New. The modules may appear on the My Institution tab or on a course's home page.